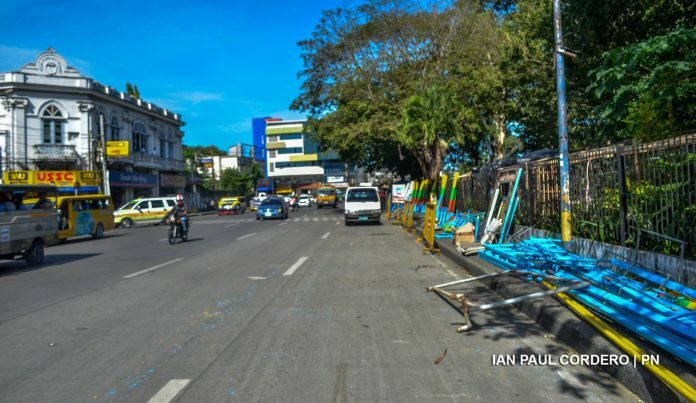 ILOILO City – The Public Safety and Transportation Management Office (PSTMO) of the city government has dismantled the feria erected on Plaza Rizal Street just outside Jaro Plaza supposedly for the upcoming Feb. 2 fiesta of Jaro district. According to PSTMO head Jeck Conlu, Mayor Jose Espinosa III himself approved his recommendation to demolish the feria for, among others, obstructing the flow of traffic. 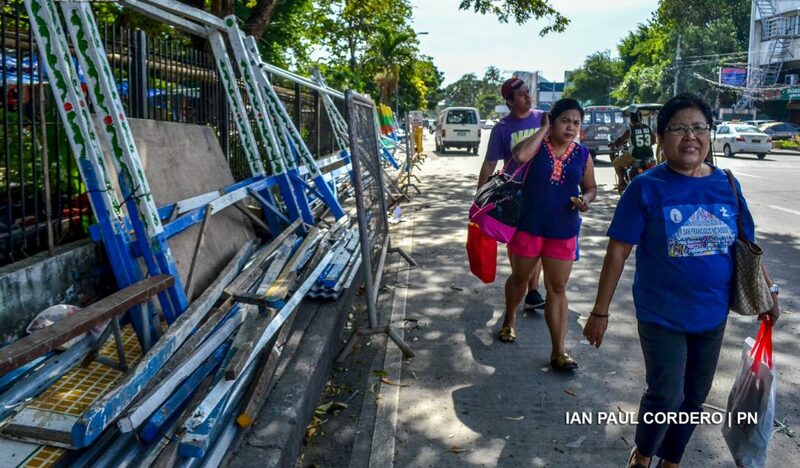 The demolition was carried out around 10 a.m. yesterday just before the Sangguniang Panlungsod (SP) passed a resolution urging the Task Force on Anti-Squatting and Illegal Structures (TF ASIS) of the city government to remove the feria. Prior to giving his recommendation to Espinosa, Conlu said he had a discussion with Barangay Captain Jerel Aguilles of Balantang, Jaro whom Espinosa designated as “manager” of this year’s Jaro Agro-Industrial and Charity Fair in line with the annual Jaro district fiesta. Aside from being a traffic obstruction, the feria also had no approved plan and was a public hazard, said Conlu. Where would the feria relocate? “Kon may lugar pa sa sulod sang Jaro Plaza, pwede. Basta indi lang sa karsada,” said Conlu. 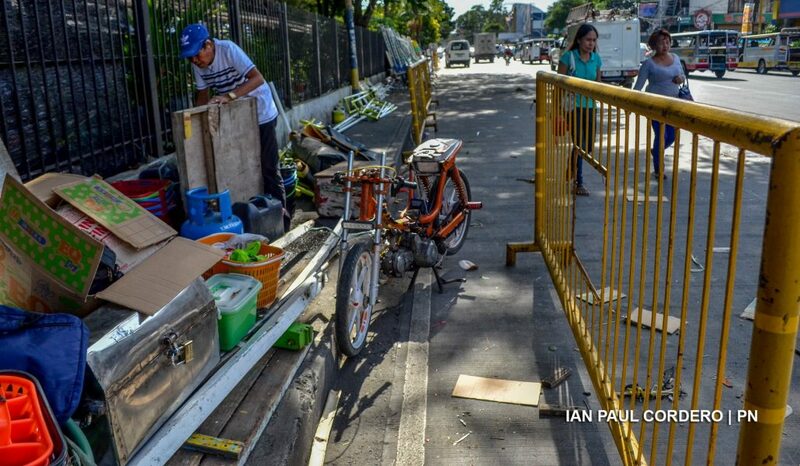 The SP had not ordered nor approved the closure of any part of Plaza Rizal Street, he stressed. Seven SP members voted in favor of the resolution calling for the feria’s demolition, four abstained while three objected. Those who supported the resolution aside from Alim were councillors Plaridel Nava, Ely Estante, Lady Julie Grace Baronda, Jay Treñas, Irene Ong, and Leila Luntao. Those who abstained were councilors Candice Magdalane Tupas, Leizl Zulueta-Salazar, Mandrie Malabor, and R Leone Gerochi. Councilors Eduardo Peñaredondo and Lyndon Acap opposed the resolution. 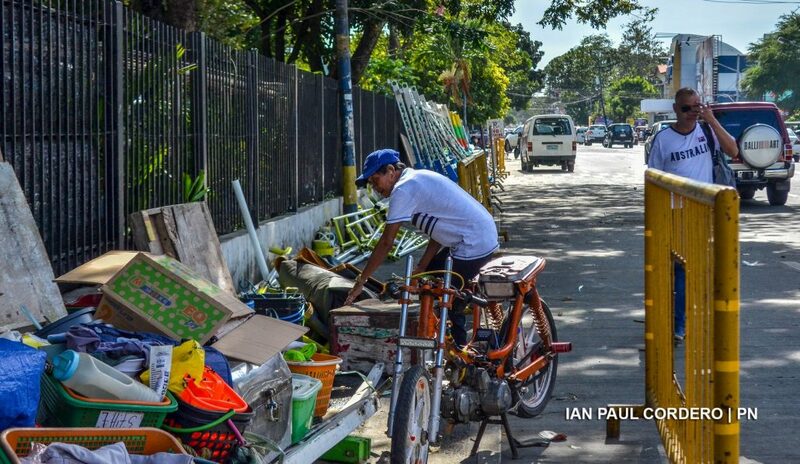 Peñaredondo said Plaza Rizal Street had four wide lanes and the closure of one or two lanes would have minimal effect on the flow of vehicles there. On the other hand, Baronda and Treñas said due process must be observed in allowing a feria to operate. For his part, Nava said an SP ordinance was needed to close Plaza Rizal Street, citing the Local Government Code. While the city mayor is empowered to effect the closure of roads during fiestas and emergency situations, the closure must not be more than 10 days, stressed Nava. If the closure is for more than 10 days, an SP ordinance is required, he said. “This is not just about the Jaro fiesta. This is about upholding the rule of law,” said Nava. For allowing the road closure, Nava said, the city mayor may be held legally liable. On Monday, Espinosa defended the closure of a portion of Plaza Rizal Street for the feria. “Ginsunod ta lang ang last year nga set up,” he said. Espinosa also shrugged off complaints that the move resulted to traffic congestion. Why place the feria outside Jaro Plaza? The inside of the plaza must be off-limits to feria, stressed the mayor. He also said ukay-ukay stalls, karaoke joints and the drinking of alcohol inside the plaza were prohibited. Only plant and flower vendors as well as clothing bazaars were allowed inside the plaza, said Espinosa.